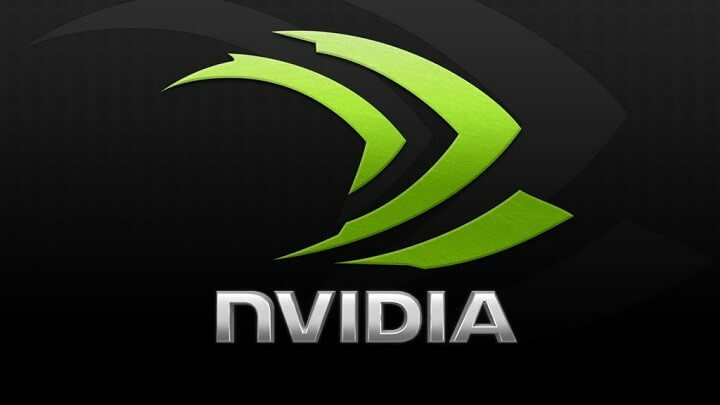 Nvidia drivers come with certain software, but many users reported that they can’t open Nvidia Control Panel on their PC. This can be a problem, especially if you want to fine-tune your graphics card settings. However, there’s a way to fix this problem. Nvidia Control Panel has stopped working Windows 10 – If Nvidia Control Panel isn’t working on your PC, perhaps the problem is your antivirus. Disable it and check if that solves your issue. 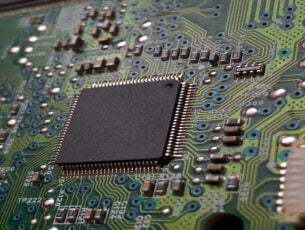 Nvidia Control Panel not working Windows 7 64 bit – This issue can appear on older versions of Windows, but you should be able to fix that problem with one of our solutions. 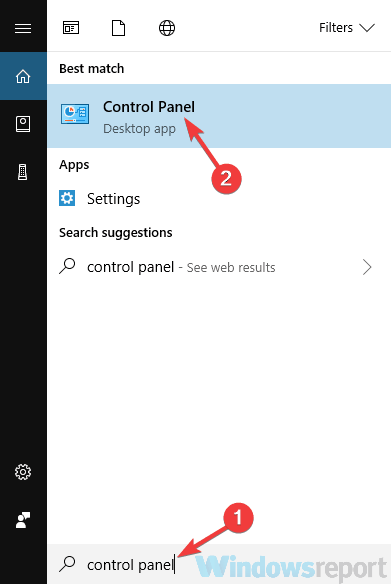 Can’t find Nvidia Control Panel – If you can’t find Nvidia Control Panel, simply go to its installation directory, create a shortcut on your desktop and the problem should be resolved. 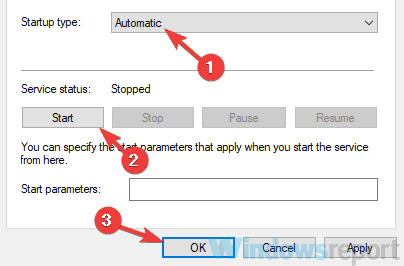 Nvidia Control Panel missing – Many users reported that Nvidia Control Panel is missing on their PC, but there’s not the case. Simply open Control Panel and you should be able to access it. Can’t open Nvidia Control Panel, how to fix it? 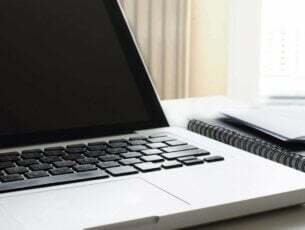 According to users, a common problem with applications can be your antivirus. Sometimes you can’t open Nvidia Control Panel because your antivirus is interfering with it. To fix the problem, it’s advised to check your antivirus settings and make sure that your antivirus isn’t blocking Nvidia Control Panel. If that’s not the issue, try disabling certain antivirus features and check if that helps. In addition, you can also try disabling your antivirus altogether and check if that helps. In the worst cases scenario, you can even try removing your antivirus. Several users reported that AVG antivirus caused this issue to appear, but after removing it the problem was resolved. Even if you don’t use AVG, you can try removing your antivirus and check if that solves the problem. If removing the antivirus solves the problem, you should consider switching to a different antivirus solution. 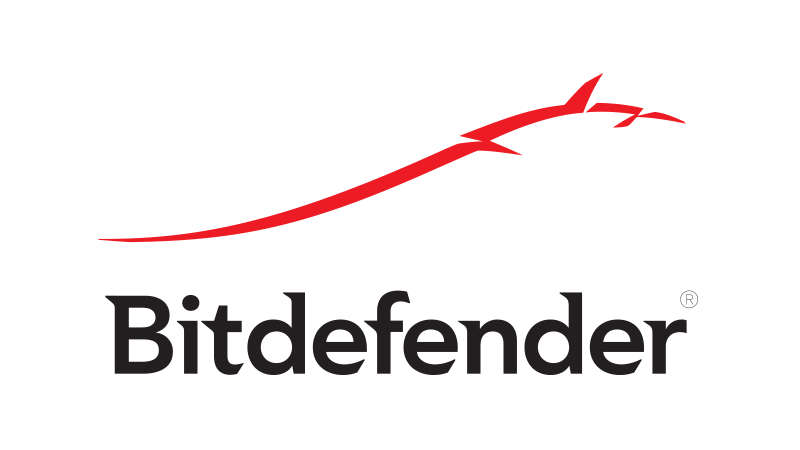 There are many great antivirus tools on the market, but if you want maximum protection that won’t interfere with your system, you should consider using Bitdefender. Open Task Manager. You can do that by pressing Ctrl + Shif + Esc. 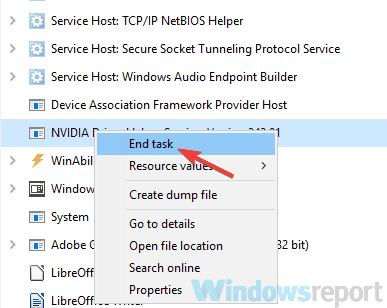 Locate Nvidia Display Container process, right-click it and choose End Task from the menu. After doing that, the process will restart itself and you should be able to open Nvidia Control Panel. Bear in mind that this is just a workaround, so it’s rather likely that you’ll have to repeat it once you restart your PC. In order for your system to work properly, certain services need to be running. The same goes for Nvidia Control Panel, and if you can’t open Nvidia Control Panel, perhaps the necessary services aren’t running. When Services window opens, locate Nvidia Display Container LS and double-click it to open its properties. Now set the Startup type to Automatic and click the Start button to start the service. Click Apply and OK to save changes. Now locate Nvidia Network Service Container, set its Startup type to Automatic and make sure that the service is running. After doing that, the problem with Nvidia Control Panel should be completely resolved. Go to the C:Program FilesNVIDIA CorporationControl Panel Client directory. After doing that, the Nvidia Control Panel should start without any problems. If you want, you can create a shortcut of this application on your desktop and use it to quickly start Nvidia Control Panel. If you want, you can also force Nvidia Control Panel to start automatically with your system. To do that, you just need to create a shortcut of Nvidia Control Panel and put it in C:ProgramDataMicrosoftWindowsStart MenuProgramsStartUp directory. By doing so, the application will start automatically with your system every time. Windows 10 has a useful feature called Fast Boot, and thanks to it your system will boot faster than in previous versions of Windows. This feature won’t completely turn off your PC which will allow it to boot faster. Press Windows Key + S and enter power settings. Choose Power & sleep settings from the menu. In the right pane, scroll down to the Related settings section and click Additional power settings. Power Options window will now open. From the menu on the left select Choose what the power button does. After doing that, Fast Boot option should be disabled completely. Bear in mind that your system will start a bit slower than before, but the problem with Nvidia Control Panel should be resolved. If you can’t open Nvidia Control Panel on your PC, the problem might be your drivers. Your Nvidia drivers might be out of date, and that can cause this and many other errors to appear. To fix this issue, it’s advised that you update your Nvidia drivers. To do that, just visit Nvidia’s website and download the latest drivers for your graphics card. After you download the drivers, install them and the problem should be resolved. If you don’t want to manually search for drivers, you can always use a third-party tool such as TweakBit Driver Updater. Open the Settings app. You can do that quickly by using Windows Key + I shortcut. When the Settings app opens, go to the Update & Security section. If any updates are available they will be downloaded automatically in the background and installed as soon as you restart your PC. 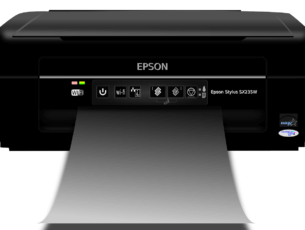 Once your system and drivers are up to date, the problem should be resolved completely. According to users, you might be able to fix the problems with Nvidia Control Panel simply by reinstalling the driver. Several users reported that they fixed the problem simply by reinstalling the driver from NVIDIA GeForce Experience application. Now head over to the Drivers section. 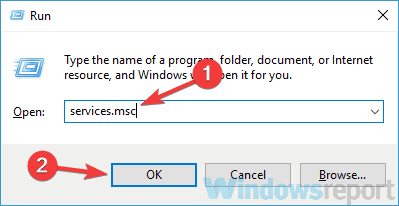 Select Re-install the driver option and choose Quick install. Follow the instructions on the screen to complete the reinstall process. Once the driver is reinstalled, check if the problem is still there. When Control Panel opens, choose Nvidia Control Panel. Nvidia Control Panel should now open. 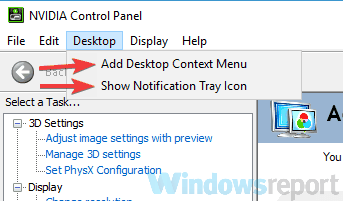 Go to Desktop and select Add Desktop Context Menu and Show Notification Tray Icon. After doing that, you should see Nvidia Control Panel in your Taskbar and in your context menu. Not being able to open Nvidia Control Panel can be a big problem, especially if you want to fine-tune your graphics card. However, we hope that you managed to solve this issue by using one of our solutions.